I love to look at one particular picture from my son’s Bar Mitzvah which was over 20 years ago! During one point of the service Rabbi David and I sang to him. The picture is of my son looking up at me as I sang. But the picture wasn’t taken by a photographer. This was a conservative shul and pictures were never allowed on Shabbat! That meant we couldn’t even take pictures before or after the service! So you are probably wondering how I have that picture! Did someone take it secretly? Well the picture was actually taken by my heart and put in my memory. And still to this day, each time I see that picture, my heart brings me back to that most precious moment! In Congregation Shirat Shalom we also have the same rule about not taking pictures during the ceremony. You would think that being so alternative (we were even nicknamed the Rebel Temple when we first began!) that it would be fine to take pictures during a Bar or Bat Mitzvah service. After all we allow them before the ceremony. Well believe me, we have tried at various points throughout the years and even recently to allow pictures. And each time it has affected the energy in the room making it more difficult for us to create and maintain a sanctuary. We all have had that experience of entering a regular synagogue or church sanctuary and feeling the quietness, the sacredness there. When a room is used time and time again for sacred ceremony, the Divine Energy builds up and is always present. Since we don’t have our own building we have to create that same feeling in a regular room. And yes, some places are more difficult than others. Before the service Rabbi David and I not only spiritually prepare ourselves to be channels of this Divine Energy but also energetically prepare the room as well. That sacred space then needs to be maintained throughout the service. When a child becomes a Bar or Bat Mitzvah, a new aspect of his or her soul is brought “online” and yes there is truly a shift in the child. 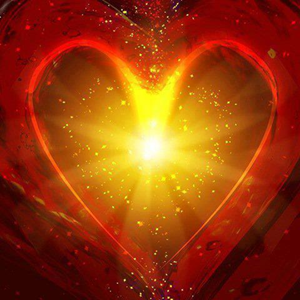 There is also much Healing and Love from G-d that penetrates the hearts of each person in attendance. It is up to each individual how that is accepted. As servants and instruments of G-d, Rabbi David and I take the responsibility of creating an environment that allows this to happen very seriously! During this past year there were two separate occasions where the photographer was quite upset with our policy of no pictures during the service. After all, other rabbis allow it… We only have the utmost respect for other rabbis. How wonderful allowing pictures works for them! But it doesn’t work for us. End of Discussion. Period. Quite honestly we don’t understand ourselves why taking pictures with a camera even without a flash affects the sanctity of a service but a stationary video camera does not. So yes, we allow a video camera that remains stationary in the back of the room during the service. So until such time where our policy may change (as we are always open to all possibilities) pictures of the ceremony will just have to be taken by the Heart Camera. But perhaps this is what G-d really wants. For each time those pictures are revisited, the Love of that moment is brought back into our world! And it seems to me in today's world, we need as much Love as we can get! On May 24th this year, the 28th day of Iyar, Jewish people all over the world celebrate the Hebrew date of the 50th anniversary of the reunification of the city of Jerusalem. The actual secular date was June 7, 1967. As the UN wants to force Israel to give the city of David (Old Jerusalem) to the Arabs, it is important to remember that except for the times when Jerusalem was conquered by foreign occupiers who restricted the Jews from living there (Byzantines, Crusaders, Ottoman empire etc..) , Jews were always the majority of the population in the city. It is also important to remember that any non Jew who is freely residing in the city today is in fact a descendant of foreign occupiers. During the 15th -18th centuries, the Ottoman empire, like the many occupiers before it, prohibited Jews from moving into Jerusalem. The Jewish population, therefore, dwindled significantly. However, beginning in the early1800’s Jews regained majority status in the city until 1948. In May of 1948 the Jews were brutally forced out of the city through starvation by the Jordanian army, with the generous help of the British who supplied the Jordanians with heavy artillery, ammunition and advisers. But of course, our connection to Jerusalem goes way beyond being the majority population of the city. 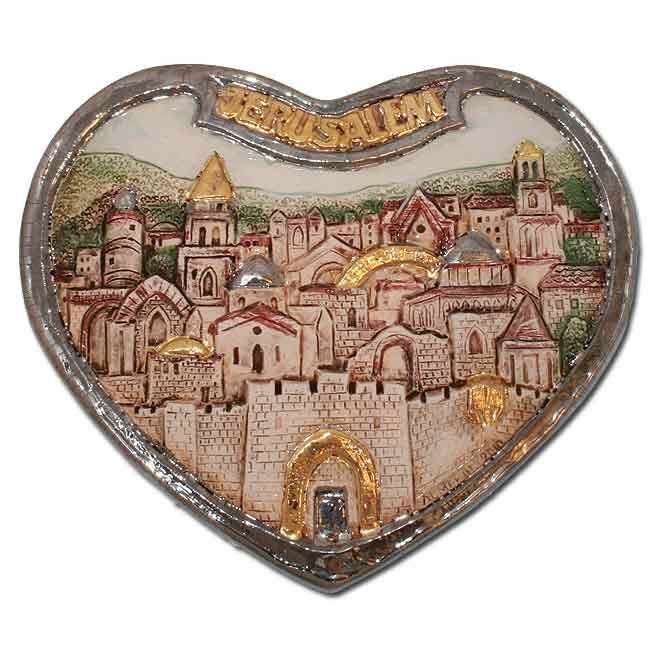 The Jewish spiritual bond to Jerusalem is so strong that Jerusalem is in fact Judaism itself. It is us, our collective soul. Taking Jerusalem away is removing our soul from our body. "If I forget Thee, O Jerusalem let my right hand forget her cunning, Let my tongue cleave to the roof of my mouth if I forget Thee, if I set not Jerusalem above my greatest Joy" Only then did he go ahead and break the glass. I also remember one of the most important days in modern history well. It was June 7th, the 28th day of Iyar 1967. In the early afternoon Israeli paratroopers broke into the old city running like madmen to the Kotel while Jordanian snipers were still positioned on rooftops. Running with them was a reporter from “Kol Israel” “The Voice of Israel.” We did not have Israeli TV yet so the entire country gathered around their radios to listen. It is about a fifteen minute run between the Lions gate, the western gate of the old city wall, from which the paratroopers broke into the city to the Kotel. We could hear the chaos around the reporter as the war was still going on around him and as 19 year old paratroopers who never saw the old city, were desperately trying to locate the wall. Then there was an eerie silence for a few seconds. The reporter could not talk. All we could hear was his quiet crying. All he could say was "I am not a religious man but....." and he could not finish his sentence. He was at the Kotel. The entire country was sobbing around the radios. Even as a young kid at the time I understood that I was experiencing what countless generations before me were so desperately praying. What a privilege it was to be a part of those electrifying moments. On June 7th 1967, 50 years ago, our heart was returned back to our chest. Our soul is back in our body. No more taking it away from us. Ever! 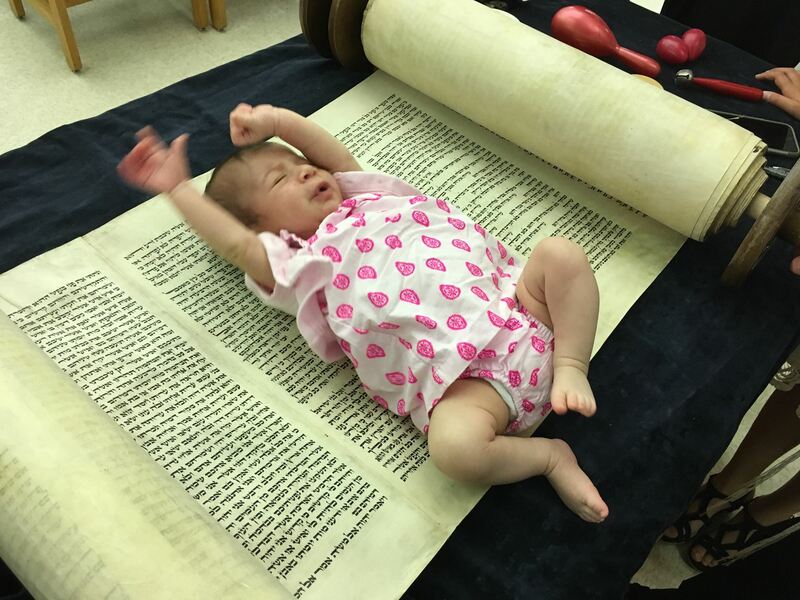 Yes, this is a baby lying on the Torah! Isn’t she beautiful!! Her name is Brielle and she is two months old in this picture. She recently attended her first Friday evening service, (outside her mother’s tummy that is!) and we were all blessed to welcome her into our Shirat Shalom family! 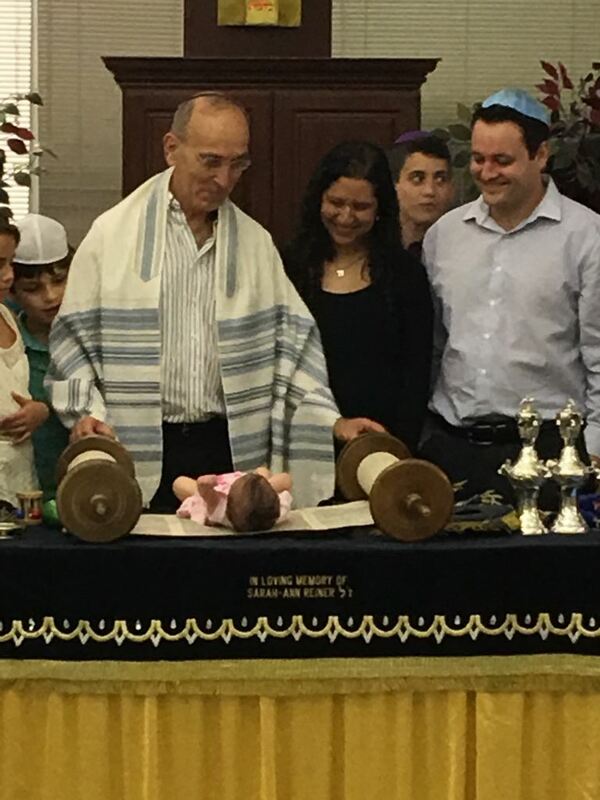 Rabbi David and I knew that we would be calling up the baby and parents for a special blessing but we didn’t have a plan to place her on the Torah. Our tradition dictates that we don’t even touch the Hebrew letters with our hands. So to put a baby on the sacred scroll? But it seems G-d had other ideas. You see several times throughout the day I was shown the same vision. You probably can guess what it is! Yes, the baby on the Torah! Each time I thought I would speak to Rabbi David about this. But you know how these things go… I would get involved with my activities and would forget. In the evening when the parents brought Baby Brielle into the sanctuary I could feel the energy in the whole room change. “Wow!” I thought! “This baby is pretty powerful!” I was again shown the vision of the baby on the Torah. I knew I needed to give this message to Rabbi David but we were just about to begin the service. When we called up the parents and the baby for a special blessing it seems G-d gave Rabbi David the same message! As soon as he put the baby on the Torah, I began to cry.... I looked out in the room and it felt as though time had stopped.... There were tears streaming down faces, smiles of love, looks of wonder…I could feel the power of this baby, that every heart was being pierced open! Baby Brielle will be receiving her Hebrew name soon, Shoshana Bracha. Shoshana means Rose and Bracha means Blessing. Her English name, Brielle is actually a shortened form of Gabrielle, who is one of the archangels. 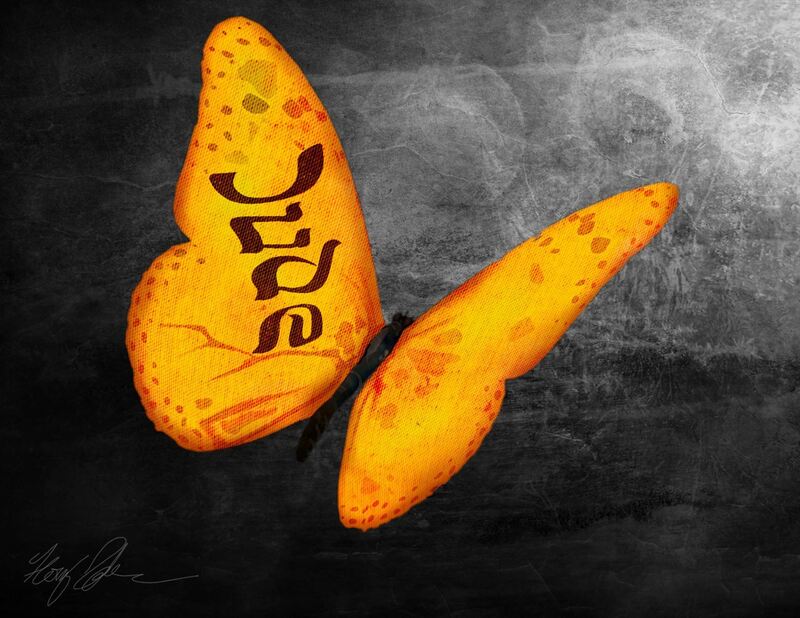 Gabrielle in Hebrew means G-d is my strength. Perhaps that explains the power Baby Brielle has. What a gift for all of us to have this beautiful Rose as a Blessing in our lives! And now in Shirat Shalom we also have a new tradition for welcoming babies! The fact that the sorrow of the Memorial Day is immediately followed by the celebration of Israel's independence is very important. It is done by design. There is an important phrase used in every circumcision ceremony for thousands of years: "Beh-Dama-ich Cha-ii", "you shall live through your blood." Israelis, more than anyone, know that freedom has its price and in Israel's case, it is a very high price. Israelis live paying for their independence with blood almost every day of the year. Through their blood they live and, as we all know, prosper and thrive in all aspects of their lives on a national level as well as the individual level. These two days are designated to be back to back to remind all of us that guarding our beloved Israel can never cease, that the state of Israel is the world's Peace Canary. Protecting it on the world stage is protecting liberty and freedom throughout the entire planet. May G-D bless the state of Israel , the IDF and the Jewish people all over the world. May these blessings radiate out to ALL People in the world. May our children only know Peace. When I was in elementary school decades ago in Israel, the class discussion one day in the beginning of the month of April was about the up coming memorial day for the Holocaust. When the class was asked to explain the significance of the day I raised my hand and started talking about "Yom Ha Shoa. I did not get far in my explanation. The teacher, Mrs. Morinski suddenly became very upset. "No!" she said in anger. 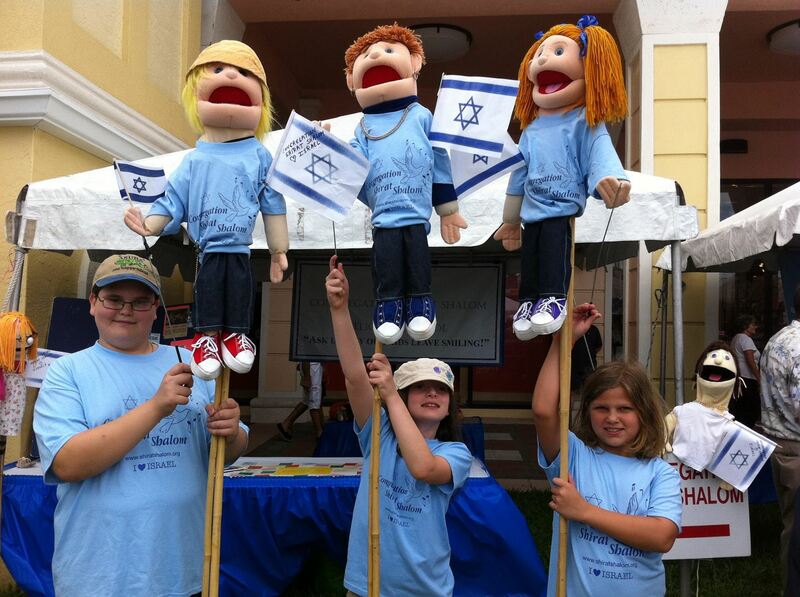 "There is no such a thing as 'Yom Ha-Shoa!' "
On April 19, 1943 a line of German Tanks entered the Ghetto with the intent to raze everything inside to rubble. But the Germans faced the surprise of their lives when an onslaught of exploding Molotovs welcomed them into the camp . Thinking that they were facing a barrage of heavy artillery they turned their tanks around and retreated. The bravery of these young men and women continued for weeks as a house to house combat ensued. The Warsaw revolt became known among the anti German underground group throughout Europe as one of the most amazing acts of defiance. However, after the war it became known that in fact, throughout the war many Jewish Ghettos all over Europe revolted and fought the Germans with the little means they had. In spite of the wide range of Jews rebelling in Ghettos and fighting as partisans in forests all over Europe, Jewish heroism is not well celebrated and understood in the US. Mrs. Morinski dismayed upon hearing the term "Yom Ha Shoa" ( literally "a day of the Holocaust) is well ingrained on my heart. That day she went on to explain to the class that while we remember the evil, it is even more important to honor the incredible bravery of those who relentlessly fought the evil, having close to nothing with which to fight. As she put it :"one holocaust is enough. We do not need another "day of the holocaust" every year. Therefore, although this term is extensively used in the United States one does not hear the term "Yom Ha Shoa" in Israel. In the early fifties when the Knesset (the Israeli Parliament) declared a special day to remember the Shoa, the official name became known as the "Memorial Day for the Shoa and (Jewish) heroism (Yom Zikaron La Shoah veh la G'vura). While in the early days some people called it Yom Ha Shoa including myself as a child, this term quickly disappeared. The original suggestion for the date of the memorial day was the 14th of the month of Nissan, Passover eve, to honor the Warsaw revolt which started on that day. However the Knesset felt that such a solemn day should not coincide with the happy holiday of Passover. The decision was therefore to place the memorial day as close as possible to the last day of Passover. The 27th of Nissan was agreed upon and became the official memorial day for the Holocaust and Bravery. Several of our Shirat Shalom children are participating in a pilot program that expands children's minds helping them to become more empowered, balanced and do better in school. We are thrilled with the results so far - more information to come! After the first session, one student, an adorable 3rd grader was done early so I took her outside. She was quite excited about this which didn't surprise me as all children love going into our backyard! It is filled with ponds and hidden places, perfect for a child to explore. As we went onto the side deck which is within a hidden enclave she excitedly called out, "Look there are two butterflies!" They began circling around her which delighted her even more! 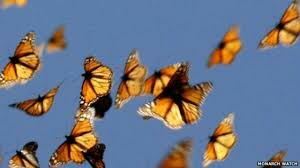 As I stood watching from a distance a swarm of butterflies came and began circling around her! There were so many - I didn't even know we had that many butterflies in our backyard! I continued to just stand where I was, mesmerized as the child began dancing with Joy within their circle! I am not sure how long I stood there watching this Dance of Joy, on both sides, of the butterflies and the child! Two weeks later I finally had a chance to post pictures on facebook of our students planting for Tu B'Shvat, the holiday honoring Trees and Nature. 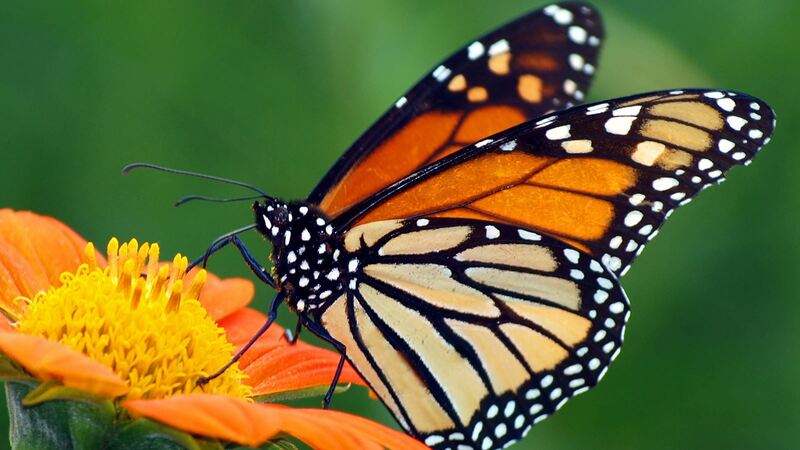 In honor of Mother Earth, the children planted milkweed seeds to help propagate monarch butterflies who are presently in danger of their population diminishing. Something made me think the butterfly dance two weeks earlier was connected to this so I checked the date the child had come for that first session. It was the day after Tu B'Shvat on a Sunday. The Wednesday before was when the children planted the milkweed seeds in Hebrew School! At that moment I knew without a doubt the butterflies had come to tell her Thank You! Dedicated to: JWRP (Jewish Women’s Renaissance Project) and the JEC (Jewish Education Center) – without whom I wouldn’t have had this great journey home and a greater sense of what being Jewish truly is. As my eyes fluttered open after a long flight over from the US to Israel, I still didn’t have a clue what I was truly embarking on. I left the comfort of the plane (oxymoron, I know) to enter the land of Israel. As I walked towards the meeting spot, I was greeted with cheers, bursts of laughter, and singing. The flag was proudly raised as 250 women met up in the Tel Aviv airport. Before I could say hi to anyone, I was enclosed in a circle of arms - - people hugging me, people I have never met, nor will I ever forget. After getting our sim cards and phones set up for Israel, we all wandered our way through the street to fill the waiting bus. Our group leaders introduced us to the other trip leaders on our bus. The 14 members of my specific group were sharing a bus with girls from PGA, Stuart, and Israel. We were all strangers including the members of my own group as we had only met a handful of times prior to the hot July day. As if this wasn’t surreal enough, we begin the drive from Tel Aviv to Tiberias. Our tour guide spouting out historical facts as we take in the scenery surrounding us. One of the first historical stories we were told was about something that took place on Mt. Carmel, near Mt. Sinai, between Elijah and the priests of Ba-al. The significance being that just a few short months before, my son was called to the Torah in honor of his Bar Mitzvah. His Haftarah portion was this story. I read about it, heard my child speak about it, and here I was looking at the same mountain Elijah had visited long ago. Once we arrived at our hotel, we went to our first welcome meeting. Here, Lori Palatnik introduced herself and gave a brief overview of a few things to expect. Lori is a dynamic speaker. She hooks you from the moment she begins talking. Throughout the next 8 days, we met with her and learned. We learned about parenting, how to treat our spouses, how to read and understand ourselves and the people we love. Each day the lesson was tied to something we would be learning about that day as we toured the ancient towns. First Jaffa and Tsfat, then onward to Tel Aviv for a few short hours, and Jerusalem. We went to Negev and ate where Abraham ate. We engaged in a drum circle and rode camels and danced the night away. We traveled up Masada. We visited with IDF soldiers and brought them packages filled with things from home – toiletries, shirts, socks, etc. . . We went to a Mikva, and of course to The Wall. We toured the tunnels, and spent time wandering the streets of the Old City and shopped on Ben Yehuda. We even went to a Shuk on the busiest day of the week - - Friday before Shabbat. While each and every one of these places is incredible and spiritual, and amazing, it doesn’t even begin to touch the surface of what we were doing here. It is only natural to begin to think deeper, and I found that something was awakening inside. Yad V’shem automatically brings tears to one’s eyes. Jut the sheer madness and craziness of Hitler and what he did to the Jews. The stories that were shared of those that survived. The children that perished, the moms and dads, the grandparents - - my family, your family, all a part of our ancestors - - it’s unfathomable, yet it happened. Again, I expected to shed tears here. However, one particular place that hit me hard was this place called Nalaga’at Center. This is a cultural arts center. Everyone here is blind and/or deaf. These men and women perform shows. There is a food bar as well. The waiters are all deaf. The performance we saw was a one woman show. The people who are deaf and blind were born with a condition. They were born deaf, but they went blind as they hit puberty. They remember seeing, and they remember losing their sight. The show was a memoir of this woman’s life. It showed us how at 13, she remembers losing her sight and going home to her mom as she sobbed. It was heartfelt, and I was especially struck and overcome with uncontrollable tears, as I am slowly losing my sight. Remember, this is all acted out through a blind and deaf person. No talking, she can’t see, yet the audience felt her pain, her anguish, her fears. After the show, I had the opportunity to “speak” with the actress. I found out she has a few kids and new grandbaby. This woman’s strength, perseverance, her outlook on life is incredibly strong. And for the first time, I didn’t feel so sorry for myself or feel as though my lack of sight would diminish me. I had hope. Later on, we spent the afternoon at One Family. The mission of One Family is overcoming terror together. This is a group that helps rehabilitate broken families as a result of acts of terrorism. The men, women, and children who come here for support have lost loved ones in the wars, terrorist attacks in the cities, and in some cases the children have lost both parents. Here we met a few women who lost their boys in the recent wars. While they are certainly sad, the light in their eyes, the way they spoke of their loved ones, was so endearing. Talking about them helps to keep them in the present. While not all people are able to do this, these women we met were inspirational. And of course, the tears kept flowing from all of us in the room. And, there was a feeling of hope. The day before Shabbat, we went to the wall. We prayed at the wall, we cried at the wall, we held each other at the wall. It was quite melancholy. The last time I was at the wall was when I was 12. I was here with my family including my own Grandma and Grandpa, and a woman whom I always considered a grandmother, Grandma Alice. (my cousin’s grandma). I felt them here with me. I remembered their wet eyes, and I remembered the many Jews who are no longer with us who fought for the land of Israel. Again, a bittersweet end to many days of crying. 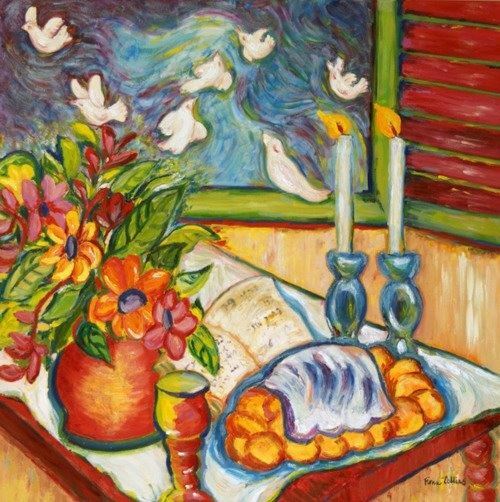 Shabbat is as festive as it comes. Men, women, children, young, old, and everything in between is celebrating. Funny, celebrating was a weird way to end the week, a week of crying, of learning, of listening to the stories of our ancestors fighting for rights, fighting for religion, fighting for survival. Here, in America, while it isn’t perfect, we haven’t had the same trials and tribulations, at least not in my lifetime. I started thinking back to the days of WWII. The Jews fought to stay alive. People risked their lives just to be Jewish. Jews are 2% of the population. I kept thinking about my own history. Growing up, my grandparents were Orthodox, my parents were Conservative Orthodox, and my brother and I were raised Conservative for most of our lives until our parents turned towards Conservative Reform. My family now is Reform. Do you see the pattern? We are assimilating and losing our identity that our ancestors fought so hard to keep. I know why. It is easier to fit in. Being religious is difficult in our world where we are only 2%. The activities our kids enjoy are on Shabbat - - soccer, baseball, football, hockey, etc. . . 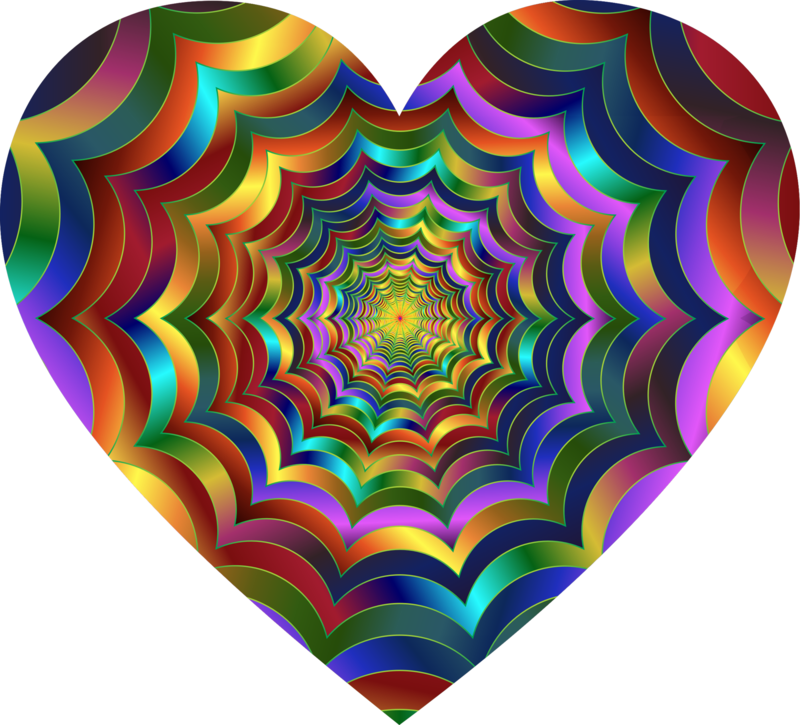 It was on Shabbat that I decided that I needed to make a change in my life for my children. While I have been slowly coming to this realization over the past year or so (when I realized my kids didn’t know there was an order to the service - -oh my, I really dropped the religion ball! ), it resonated with me in Jerusalem. If I want any of the customs I grew up with to be passed down to my children and their children, I need to do something now, before they are all grown up and set in their ways. My trip to Israel was way more than a trip. It was a journey. It was about finding me, and what’s important. Israel is a home to all Jews. Israel is home to me. I feel a connection with Israel that I have never felt before. I see why people visit and end up staying. Israel is a country of hope. 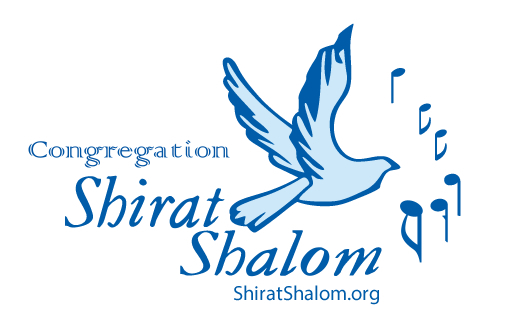 Gayle is a member of Congregation Shirat Shalom. Shortly we will finish reading the first Book of Beresheet (Genesis,) and begin the second book of the Torah, Sh'mot (Exodus.) 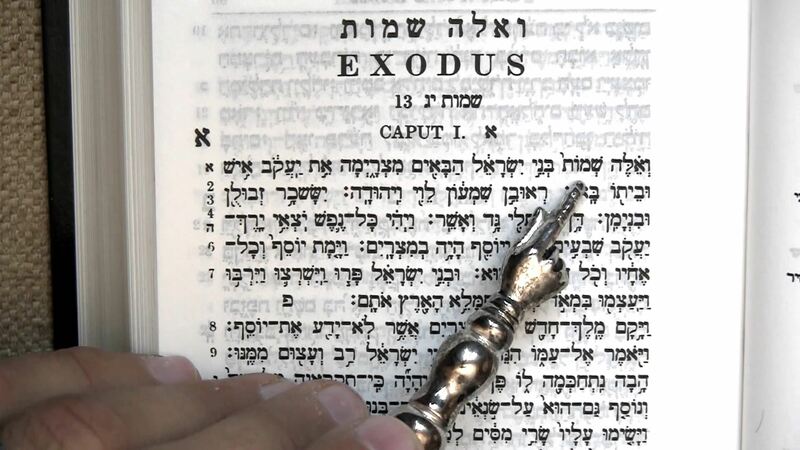 While each book of the Torah carries important messages, the Book of Exodus is of utmost importance as it talks about the events that led the family of Jacob and his twelve sons to become the nation of Israel. This transformation took place over the course of 400 years. But the way G-D chose to create the Israelite nation is a little peculiar. The original idea of coming to Egypt to begin with was to ride out the seven years of famine in a place where food was still available. Why didn't Jacob's family return back to Canaan, their homeland after the seven years of famine had passed? Why be strangers unnecessarily in a foreign land? No doubt G-D had a plan. He wanted the Israelites to become a multitude in Egypt. Their sheer numbers threatened Pharaoh so much he saw no other alternative but enslavement. But why did the plan include having us suffer through slavery on our way to becoming the nation of Israel? Perhaps the answer is that national attitudes are forged through common experiences. Suffering together through a long, cruel period of slavery caused the Israelites to understand and internalize deep in their souls the enormous value of liberty and justice. This became one of the most important parts of our spiritual makeup, always worth fighting for throughout our long history. However, because of other nations' influences the institute of slavery did exist in ancient Israel. Nevertheless, there were very strict laws protecting the slaves. Foreign slaves were acquired through victories over enemies whereas Hebrew slaves were acquired because of debt that had to be repaid. Hebrew slaves had to be set free after seven years no matter how large the sum still owed. While foreign slaves remained slaves forever, the concept of slavery was much different in Israel than in the rest of the Biblical world. To begin with, there is no Hebrew word for slave, not the way we understand the term. The closest word is "Eved," a derivative of the word "Oved, a worker. Eved translates as one who works without getting paid. The statues of an Eved, Hebrew or foreigner, was like that of a regular worker with all the legal protection from cruelty and inhumane treatment. Especially since the Jewish people were designated by G-D as carriers of the Light of Freedom, the Eved was never considered to be property and had to be treated as a regular worker. Therefore, the Torah issued a stern warning against mistreatment of slaves. Looking back over history, perhaps the reason for creating the Jewish nation through hundreds of years of slavery was necessary to create a unique people who would be able to always carry the ideals of liberty and justice no matter the circumstances. This we have done for thousands of years even during some extremely cruel centuries. She began by telling me she would just speak from her heart. Her family was very active in a non denominational church in Kentucky which very much honored the Jewish people as Jesus was Jewish. She and her husband wanted their son to learn Hebrew and become a Bar Mitzvah, the rite of passage for Jewish teenagers. This would help them all as Christians to understand the roots of Jesus. As you can imagine, she was quite nervous telling me all this. I replied by sharing what we teach our children in Hebrew School, "There are many paths to climb a mountain, we all reach the top and are together there. All Sacred Paths are to be respected. " I also told her that Rabbi David and I are instruments of G-d. If her family was brought to us, it was for a reason. We began teaching the boy Hebrew and the Jewish perspective of the Torah through our online tutoring program which uses a form of video chat. As with all our students we developed a bond with the entire family. As we progressed I wasn't quite sure how a Bar Mitzvah ceremony would be performed for at that time it wasn't in the plans to have Rabbi David and me there. I thought we would work with the pastor and have him conduct some kind of brief ceremony for the church members which would include the boy reading his Torah portion from a child's size Torah. We have one of these replica Torahs in Hebrew School and it is easy to purchase. But one thing led to another and the family decided they would like us to come to Kentucky to perform the service. It was going to be very expensive to fly both of us to perform the ceremony so we decided only Rabbi David would go. This was somewhat disappointing as I felt very close to the family and as many know, we are a team, used to doing services together. But I also kept getting the message, the inner knowingness that I was to go also. One morning before another Bar Mitzvah service I prayed and said, "Okay, if I am supposed to be there, please give me the financial means to do so." After the service, the father of the Bar Mitzvah boy, put cash in my hands, enough to pay for 2/3rds of a ticket! The next week I received money I wasn't expecting which paid for the rest of the ticket! Once we arrived in Kentucky we were welcomed as such honored guests! Even the invitations said our names with the words "honored guests!" Everyone was just thrilled we were there including the pastor and his wife. We set up a sanctuary in a Fire Hall meeting room. One option was to have the service in their church but they didn't want us to feel uncomfortable. The Fire Hall became a beautiful sanctuary which I thought was so appropriate since the mystical teachings tell us the Hebrew letters of the Torah are written by black fire on white fire. The boy and his grandfather even built an ark for the Torah! We conducted a Friday evening service and explained all the prayers as we went along. The congregation of about 100 was mostly made up of the church members who participated in every part of the service by singing along with the Hebrew transliteration and English as well! There was actually one Jewish couple there but most of the people had never even met a Jewish person before, including the grandparents of the boy! When Rabbi David spoke to the boy he told him that he is a bridge between two sister religions. At the end of the service, we invited the pastor of the church to give his blessing over the challah after the boy did the Hebrew blessing. The pastor broke apart the bread and said, "We have been broken." He then put the bread back together again and said, "May this now be the beginning of our people coming back together." It was on Thanksgiving last year when my family for the first time watched the videos of my nephew, Jason, taken 23 years ago. My brother in law had just bought a video camera but he didn't have a chance to take too many videos of Jason for in another month he would die. He was 4 1/2 years old. For those of us who remember, the video cameras then were quite large and to view a video the camera had to be connected to the TV. When my sister found the stored videos all these years later but no camera, she had them transferred to a DVD. As we all watched the DVD I looked at my older nephew, Kevin, and contemplated how he was shaped by his younger brother's death. He was only eight years old at the time. I then turned my attention to my younger nephew Corey, now a college student, who would not have been born if Jason hadn't died. I could see how intently he was watching the brother he never met. I wondered what was going through his mind. Afterwards I saw that someone had called my cell phone three separate times. Since there weren't any messages I decided it must be a robot call. After all, who would call on Thanksgiving! When I returned home, I saw the phone had rung again but this time there was a message. A twenty-three year old boy, the older brother of one of our seventh grade students, had died! My first thought was how Thanksgiving for this family would be forever changed! My second thought was that just like my nephews, my student's life would now be shaped by the loss of his brother. I had spoken with my student's mother a few weeks earlier when she picked a date for his Bar Mitzvah. The day before the funeral she shared that when she was riding in the car to identify her son, she realized that the month and day of her younger son's Bar Mitzvah was the same as her older son's! "I didn't even realize they had the same date until that moment!" she exclaimed. "Will they have the same Torah portion? It was Vayishlach and had something to do with brothers." I answered it was doubtful as the Torah portion goes by the Hebrew calendar which is based on the moon and not the secular date which is based on the sun. A few days later I remembered our conversation and looked up the Torah portion. That evening during the Minyan service (service in house of morning) I first shared the story of how the secular date was the same. And then that the Torah portion was the same as well! It was Vayishlach, a story of two brothers, Jacob and Esau, a story of struggle and forgiveness. All of us at the service that night can attest to the Divine Presence that came into the room at that moment. During his recent Bar Mitzvah ceremony my student spoke about his older brother, of how just like Jacob in Vayishlach, the leadership role of the family has been passed to him, the younger brother. He spoke of how "11 years ago today, my brother had his ceremony on this exact day and we have the same Torah portion, so this is not a coincidence." My Student Austin and his older brother Alex.